Charlie Airlines, the new Cyprus-registered carrier, co-founded by the Russian S7 Group, will operate under the brand name of Cyprus Airways. 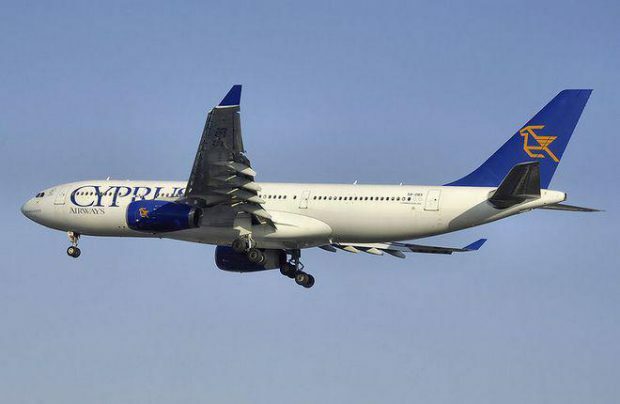 The Cyprus Airways brand previously belonged to Cyprus’s national carrier, which suspended flights in the beginning of last year due to financial constraints. After the national carrier left the market, the brand rights were acquired by the island country’s Finance Ministry, which rented them to the newly created Charlie Airlines for the period of ten years, with potential further five-year prolongation. According to Cyprus Business Mail, the operator paid 2.04 million euro for the right to fly under the Cyprus Airways logo. The Cypriot government will remain the owner of the brand, will monitor the operator’s activity in respect to the brand name agreement and conduct operational audits. Filyov explained earlier, that Charlie Airlines will not be part of S7 Group. European regulations limit the Russian owner’s share in the Cypriot carrier to 49%. However, S7 will transfer two of its A319s to Charlie Airlines’ fleet. S7’s interest in developing business in Cyprus manifested itself in March this year, after Russia and Cyprus signed an air liberalization agreement. At the same time the government of Cyprus received several requests for registering new carriers. At least two of these requests have been satisfied: Tus Air, owned by US and Cypriot citizens and Cobalt Air have already started operations.